This city offers a mixture of German and Polish history. Its Gothic atmosphere makes it the greatest attraction. There are gothic cathedrals, the gothic town hall, the castle of the Teutonic Order in Malbork, and city defence walls. Because it did not suffer any damage from the Second World War, its urban substance and fabric are authentic. 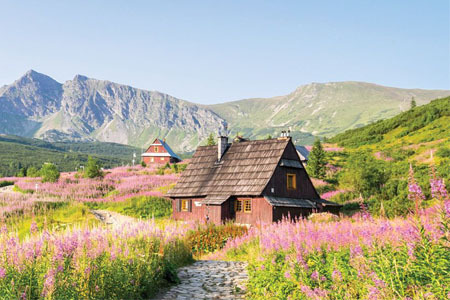 A great place to travel to -or live in- is Poland’s second city. Over the years it has grown to be a popular destination. It is the heart of Polish culture and is filled with many historical attractions including the salt mine, the basilica, cathedral, and castle. During your leisure tme you may attend any of the festivals, do some hiking, or just enjoy the beautiful scenery. Many people visit to try to connect with the worlds that vanished during the era of the Second World War. With a history dating back a thousand years, this location has served as a cultural capital. With great commercial and communication routes and an extensive port, trade, fishing and crafts continue to develop the city despite being taken over by knights in 1308. It was here in Gdansk, that the Second World War started in 1939. This large and ethnically diverse city is the only location where you can find a Stare Miasto (Old Town) with a Synagogue, Lutheran church, Roman Catholic church and an Eastern Orthodox church standing near each other. It is notorious for its richness and history as well as its market square that features a modern fountain and is lined with elegant colourful townhouses. Before the Second World War, Auschwitz was a thriving centre of Polish Jewish culture. However, by the end of the war, it became part of a large network of concentration camps. The exact death toll will never be known, but it is estimated to be between 1.5 - 2 million, with as many as 900,000 Jews in that number. The Auschwitz Jewish Center is a museum that holds the history of the Jews from the area, including information from before the terrors of the Nazis all the way up to present day. Walking through the site can evoke many emotions as you learn about the history of what happened on those same grounds years ago. Poland’s national dish is a pierogi. A pierogi is a dumpling stuffed with many fillings, with the most popular being mashed potatoes, farmer’s cheese, sauerkraut, cabbage, mushrooms, spinach, ground beef, and healthy grains. In history, the pierogi was prepared for holidays and each holiday had its own designated pierogi flavour. Another popular food is gingerbread, which dates back to the 13th century. Today’s delicious cookies are still based on original recipes and methods and are very popular, especially during the holiday season. This national shrine of Poland is the centre of Polish Catholicism, and is home to the miraculous icon, The Black Madonna. The monastery dominates a Czestochowa hilltop that is always bustling with pilgrims and worshippers waiting to see this depiction of Mary holding the infant Jesus. Poland is known for its inspiring fighting spirit. Throughout the entire Cold War, the Poles never surrendered. Their government went into exile in the UK for 50 years and they were almost completely wiped off the face of any map. Despite all of this, they stayed persistent and determined to never give up, never accept no, and to never go away. In Poland, one’s “Name Day” – imieniny – is considered a far more important occasion than one’s birthday. The calendar of saints is a Christian method of associating each day with the name of a saint. The day your name is celebrated is your name day. There is no mention of age or numbers on a name day, however there are still gifts. In Poland, pizza bases are not topped with Napolitana or a tomato-based sauce. These are generally served separately and resemble what some would consider to be ketchup. If interested in hiking, Zakopane makes a nice base. In addition to hiking, it has much to offer including a main shopping street and you might even catch an international ski jumping competition.